Butterwick Primary School, 10 years ago. Butterwick Primary School was celebrating winning a FA Charter Standard schools award, 10 years ago. 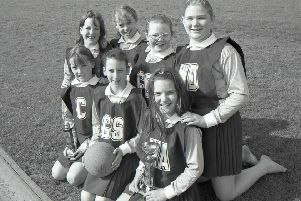 To be eligible for the honour, schools had to provide football training – for both boys and girls – during lessons, lunch and afterschool clubs, and enter a number of competitions in the area. Pictured with pupils (from left) are Lincolnshire FA representative Derek Andrew, teacher Tom Huck, and Rob King, football development officer for Lincolnshire County Council.